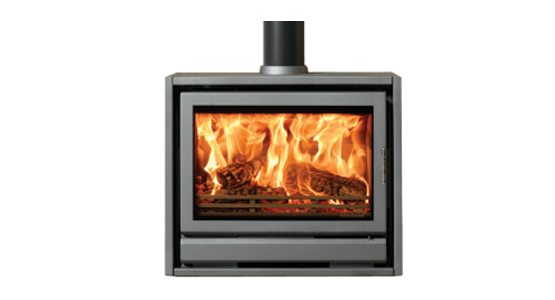 Wider still than the Stovax F66, the F76 Freestanding stove is a wood burning appliance only. However, it has the potential to create an outstanding landscape centrepiece within larger rooms or living spaces, particularly as the Airwash system helps keep the extensive window clear, allowing you to enjoy the flames to the full. The Cleanburn technology and ‘Opti-Burn’ setting also offers you powerful, yet efficient, heating capacity. With up to 9kW available, the prospect of cosy winters in front of a real log fire awaits you. The F76 Freestanding can be hearth-mounted or, for an alternative style and look, placed on either a 100cm, 120cm, 140cm or 180cm Riva™ Bench.